Back in September of 2016, Apple released iOS 10. This update to the iPhone operating system include a number of tweaks, but the most notable change was the massive expansion of the Messages app. 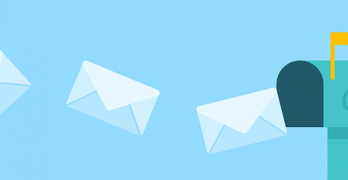 What was once a limited SMS/MMS messaging application suddenly gained the ability to send messages a variety of text sizes along with rich animations and a large library of GIFs. Apple also opened the Messages app up to developers, allowing them to create their own extensions for the platform. One of those extensions was iOS sticker packs. Stickers are a little different from normal images. 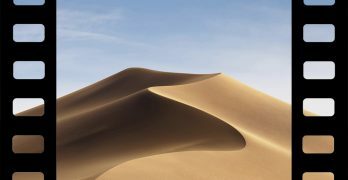 Like normal images, they can be used as part of any iMessage thread. But unlike normal images, stickers can be applied on top of other images, or affixed to previously sent messages. Anyone who has used Line or Snapchat will be familiar with the idea, and it’s a fun addition to the world of Messages. 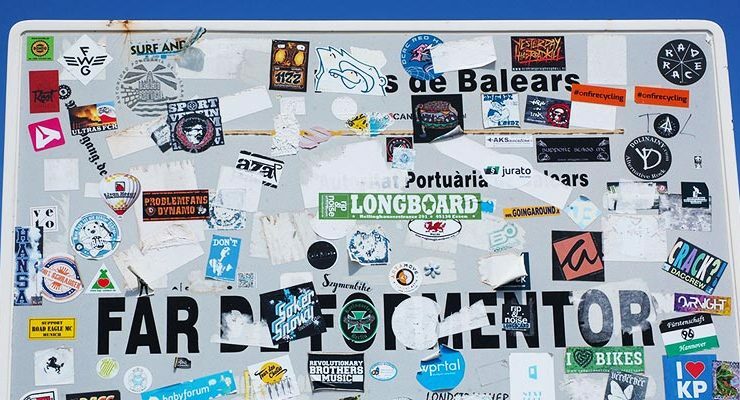 Since September of last year, there’s been a lot of releases into the stickers ecosystem. 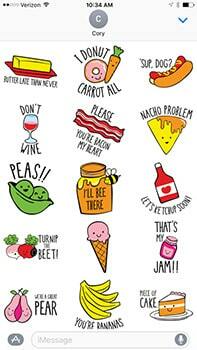 Here are some of the best iOS sticker packs. We can’t get enough of penguins. Period. When we get grumpy penguins, that just takes things to a whole new level. 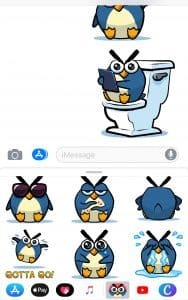 Grumply is the cutest grumpiest penguin you can find, and he does stuff that you and I do all the time – including playing with his iPad while in the loo. This sticker pack is a must-have for penguin lovers and/or grumpy people. 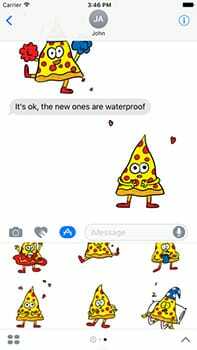 Pizza Friend is an adorable slice of pizza with all the emotions of a human. Or at least many of them, barring horror at its entombment in a food product. It’s a charming cartoon character that deftly walks the line between huggable, pitiable, and slightly disturbing, and it has a large library of emotions to choose from. 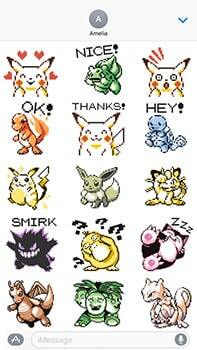 The fact that text-based emoticons are now considered retro makes me a little sad, because I am old. Those pining for a simpler time might get some satisfaction with this pack. Redditors especially can find something to love, since these apparently antiquated emoji have maintained their popularity on the platform. 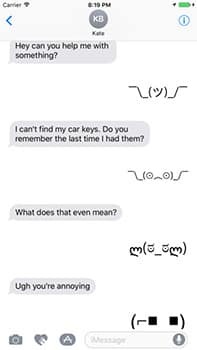 If you’re trying to keep that meme culture part of your every day discourse, SMS Rage Faces has you covered. And it goes well beyond the crudely drawn rage faces meme, with all kinds of fresh-from-4chan content to amuse you. There’s several hundred stickers available, so you shouldn’t get too bored, and the app is updated with new ones periodically. 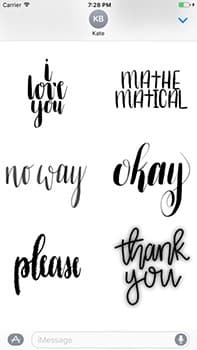 If you’re a sweetheart, Take Heart Calligraphy will probably be appealing. It’s a collection of text-based stickers that revolve around handwritten messages. Impress your girlfriend by being nice for once! This sticker pack is ultra-small, with 12, count-’em 12 stickers. It’s really more of an afterthought tack-on to the main iFunny app, which you’ll need to download. However, the slimmed-down graphic design of the few stickers you do get is appealing, and their broadly usable. 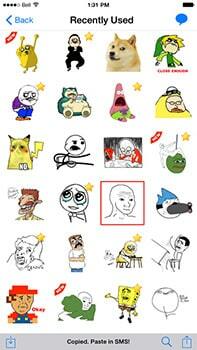 If you’ve already got the iFunny app installed, check out the stickers app. While the Pokémon Go craze may have died down, this pixel art sticker pack is still going strong. It’s one of the few non-free packs, but the art is excellent. And in keeping with the retro art theme, the pack only includes illustrations of Pokémon from Pokémon Red, Blue, and Yellow. If you and your friends are a fan of the games, this is a cool little accessory to drop into your conversations. Are you kind of a jerk about your friends’ grammar? Are you compelled to correct their spelling and punctuation even in casual conversations? 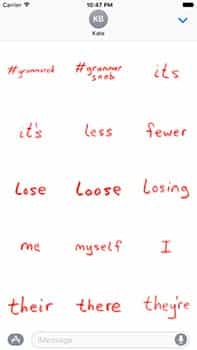 Communicate that unhealthy obsession with Grammar Snob, a sticker pack made up of red-pen edits. You can now cross out, correct, and comment on your friends’ awful grammar. Until they decide you’re insufferable, anyway. Iconfactory might be the most prolific producer of sticker packs. The well-respected developer, which also created Twitterific and iPulse, has bundled together some of its better work into the Emoji Pro bundle. It’s an excellent all-purpose collection of stickers that includes a few dozen poop emoji, some RPG-themed icons and a bunch of great retro gaming pixel art. 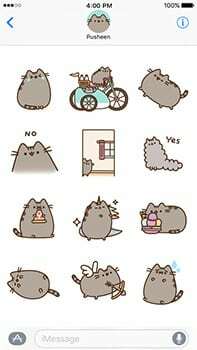 Pusheen is the adorable fat grey cat that you might know from Facebook Messenger. This sticker pack collects a whole bunch of Pusheen stickers, and a lot of them are animated too, for maximum adorability. 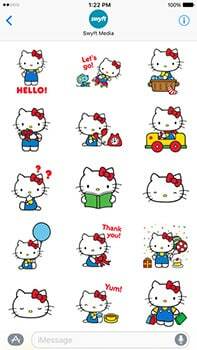 Hello Kitty is probably the epicenter of cuteness in the world. The cartoon cat may have seen greater popularity in the past, but its she’s still a well-loved and easily recognized simple of love, affection, and cartoon cuddliness. And while they aren’t animated like the Pusheen ones, they’re still incredibly charming. What if you could instantly send a BURST of LOVE to everybody you know? What if you could express just how much you LOVE them, without texting a single word? What if we ALL filled the air waves with beautiful bouncing Big Love Balls? Big Love Ball is an online brand inspired by the goodwill in people. Wherever people are celebrating LOVE or sharing important messages we are there. Big Love Ball has become a beloved icon upholding the values of inclusion and connection. How do I get my sticker pack reviewed? Please check out NerdSticker on the App Store. The Grumply stickers are high quality and fun to use. Check out this Holiday Sticker app for Christmas!